Your Morocco DMC Marrakech will assist you with every detail involving your event in Morocco: from choosing the right conference venue, hotel accommodation, tailoring your incentives itinerary, choosing the right dinner venues, and team building activities to the suggestion of CSR projects to fit your corporate objectives. 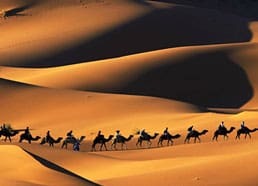 We have acquired over the years extensive experience and know how in the design and delivery of incentives ideas be it in Marrakech or other parts of Morocco: We will custom design Marrakech incentive travel programs creating a unique and memorable trip of a lifetime for your clients. What better way to experience Marrakech and its culture than through fun-filled recreational and team building activities. We have a passion for doing things that have never been done before and are constantly sowing the seeds for new Marrakech team building ideas. Sensitive to the effect the atmosphere can have a big impact on the outcome of any welcome, gala or farewell dinner during your Marrakech event, we strive to create the right vibe and can offer you a wide choice of Moroccan and international restaurants, exclusive dinner venues & caterers. 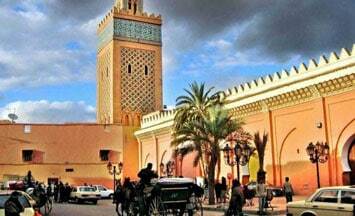 If you are looking for a destination in which to hold a conference or meeting, then Morocco and Marrakech in particular should definitely be on your priority list. We will be proud to share our know how to suggest the right meetings & conference venues that will fit your Morocco event’s needs. 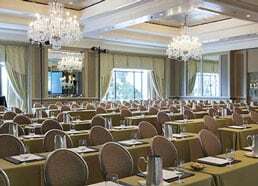 Whether it’s strictly a conference, a full incentive or a trip including both, we will work hand in hand with you and your team and your clients to organize your event. 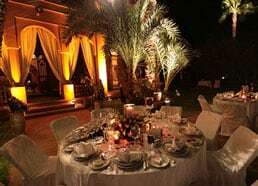 Our close relationship with the hotels, conference centers, restaurants and gala dinner venues means our Marrakech event management team will work to ensure that you get the best service possible at the best rates. Teaming up with Your Morocco DMC makes your job easier and we’ll ensure that your event is a seamless one from start to finish. We have a passion for custom-making creative Marrakech team building activities, incentive trips, conferences and meetings, product launches, themed dinners but we also specialize in leisure activities, cultural tours and FIT. So give Your Marrakech DMC a call so that through our destination & event management agency you will benefit from a whole new out-of-the-box impression of Morocco and in this way, we ensure your guests walk away with a refreshingly different and inspiring taste of Morocco. We’re aware that you might have already been to Morocco, and are quite sure you know a few things about its potential for conferences, meetings and incentives. However, with Your Morocco DMC, a Marrakech based destination management company, you’ll have the opportunity of looking at Morocco and Marrakech in particular with a fresh set of eyes, gaining a new perspective on how things could, should and would be done when you organize your next conference, incentive or team building event with us, your Morocco DMC. Our team is our greatest asset: We’re young, energetic, creative, resourceful, professional, detailed as well as friendly and fun to work with. Together, we contribute decades of experience in the MICE industry from having worked in hotels, DMCs and tour operators to sales and marketing, hostessing and the like. We use our experience to constantly improve the service we offer and are well aware that no matter how many hundreds of events we have organized, there is always more to learn. Below are a few Marrakech incentive travel itinerary ideas to inspire you plan your next incentive travel trip to Marrakech and its surroundings. 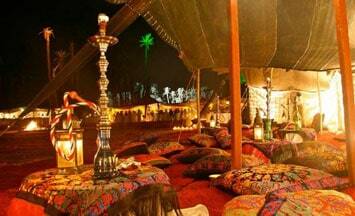 You will be surprised what Marrakech and Your Morocco DMC have to offer for your clients and corporate team! A short list of our previous clients we had the pleasure to team up with to organize their conference, incentive trip, team building and events in Marrakech, Mazagan, Agadir & Casablanca. For any references, detailed case studies, we will be delighted to supply upon request. Serving as a bridge between Africa and Europe, Morocco has clung to its cultural integrity. 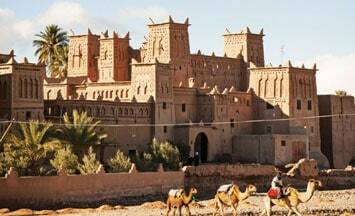 It is the strength and persistence of tradition; both Berber and Arab; that makes the country so extraordinarily enticing. Vast beaches, cool oases, centuries-old cedar forests, the shifting dunes of the desert and the richly-decorated palaces all glitter like jewels under the omnipresent Moroccan sun. Morocco’s varied geography includes no less than four separate mountain ranges, in addition to lush river valleys, beautiful sandy coasts, and wide expanses of desert. The three most prominent mountain ranges, which run parallel to each other from the southwest to the northeast, are the Middle Atlas, the High Atlas, and the Anti-Atlas. The ascent of the country’s highest peak, Jebel Toukbal (13,665 ft./4,165 m.), is a spectacular and not particularly difficult High Atlas trek. The Moroccan coastline, which fronts onto both the Mediterranean and the Atlantic, offers plenty of great beaches as well as a number of fascinating old coastal cities. In the southeast, Morocco’s mountain ranges yield inexorably to the desolate expanse of the Sahara. WHY YOUR MOROCCO DMC ? Unlike your typical “cut and paste” DMC in Morocco, we at “ Your Morocco DMC “ avoid taking short cuts and focus on the details every step of the way. Our aim is to create a motivational program that is tailor made to your requirements and objectives, securing our position as the local leaders in creative destination event management whilst consistently delivering the highest levels of customer satisfaction and return on investment. At “Your Morocco DMC ” we provide a full destination and event management service, from the conception of your event themes all the way to the finest details; and while we are passionate about doing things that have never been done before, in Marrakech and all over Morocco, we leave no stone unturned and we are completely nuts about logistics and fine details. 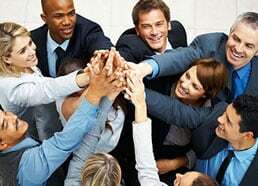 We guarantee innovative, fresh winning ideas every time we receive a new RFP. We are one of the leading Marrakech based Morocco DMCs, and we will be delighting to assist you for your next event, conference, meeting or incentive in Morocco.